Nice info. Thanks for doing the research. Do you know anything on R R Hay? My records indicate R.R. 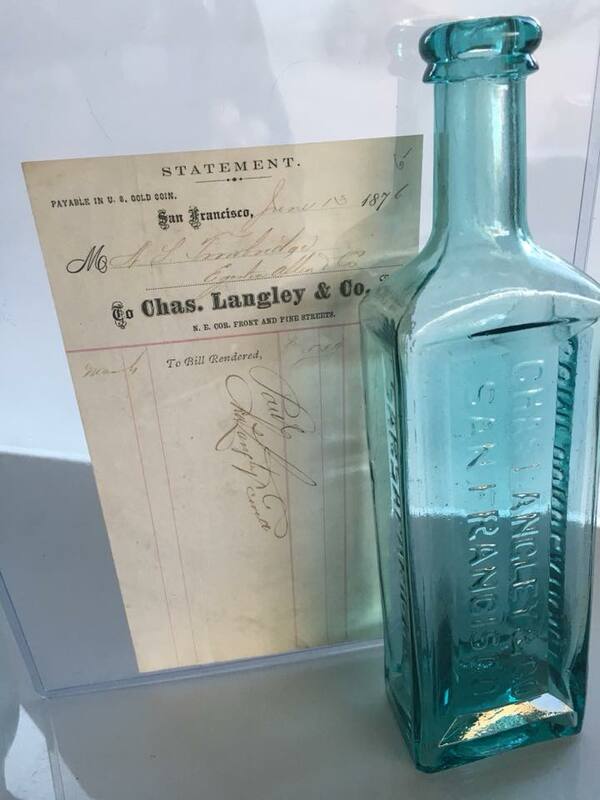 Hay either owned or had partial ownership in a San Francisco drug store at the SW corner of 22nd & Mission from 1876 to 1879, and again at 1019 Market St. from 1884 to 1886. I have seen a few of his prescription bottles over the years. Randolph Ramsey Hay was born about 1845 in Illinois, to Henry Hay and Augusta F. Wade. His father, Henry, is somewhat of an absent figure, as he was not living with the family as early as the 1850 census. Randolph shows up in directory listings as early as 1863, working for various druggists in both Oakland and San Francisco. I think he, his mother, and his younger brother moved to California where Augusta's sister, Mary Wade Jones, had moved in the 1850's. There is some evidence that the family may have initially settled in Nevada County. The last record I could find for Randolph Wade was in San Francisco in 1892. I could not find him after that date and also could not find his death record. Although unlikely, he may have left California for somewhere else. Correction. I should have proofed the last paragraph in my previous post. His name, Randolph Wade, should read Randolph Hay.